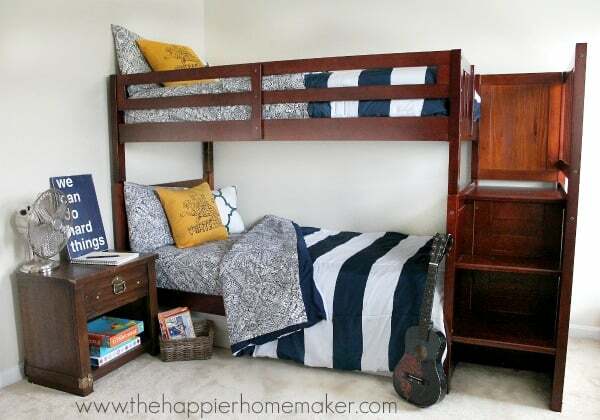 I mentioned a few weeks ago how excited my two older sons were to be getting bunk beds when we made our recent move. Once we had them all set up I realized that they were long overdue for new sheet sets and I could now buy two of the same set so the OCD in me didn’t have to deal with the mismatching! When looking for sheets I knew I didn’t want to go the traditional cartoon character route that we’ve been buying for the past few years. They love them at first, then 6 months later they’ve lost interest and no longer want the Thomas the Train, Lego, Ninja Turtles, etc. Also many of the character sheet sets we’ve purchased in the past turned out to be of very poor quality, since my boys are prone to eczema that’s not an area I want to skimp on quality. Enter the new Zio Ziegler collection from PBteen. 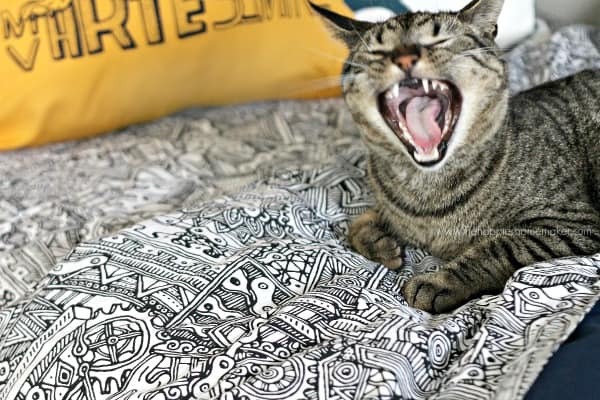 Zio Ziegler is an artist with an amazingly detailed and unique style…and his new line from PBteen reflects that. I chose to outfit my boy’s bunk beds with the Zio Ziegler Chain Sheet Sets. I love the quality of the fabric as well as the intricacy of the pattern on these sheets-I can see my boys being inspired by the things they find within the design as well. 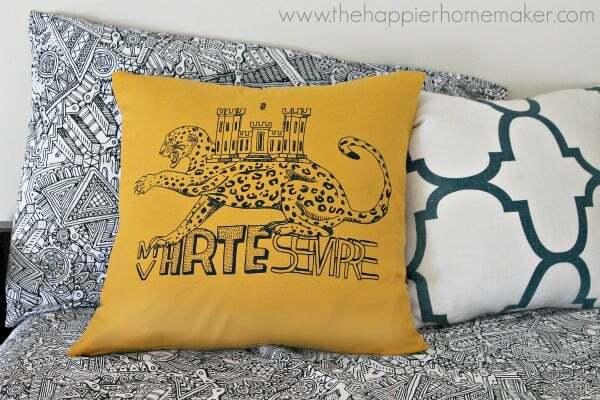 I also love these Arte Sempre pillow covers, like everything Pottery Barn they are very high quality and my boys LOVE the design-they were so excited when I set up their new bed sets. You can find the new Zio Ziegler Collection at PBteen-there are so many more amazing pieces other than the linens-wood wall art, etched skull bookends, and an entire selection of school bags and supplies! Thank you to PBteen for sponsoring this post, as always all opinions are my own! You can find PBteen online, on Facebook, Twitter, and Instagram as well. 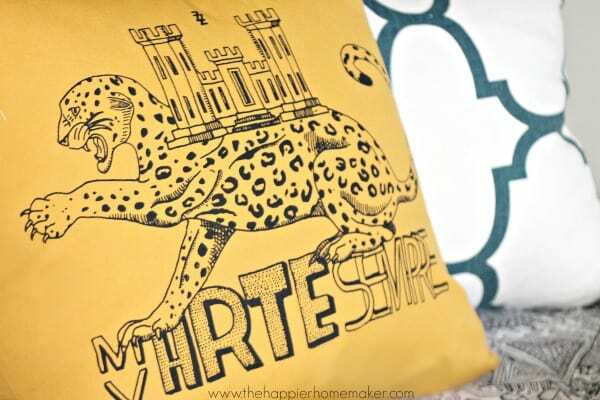 love those pillows! they are the perfect touch and i agree that they won’t be outgrown! Thanks Cassie! The boys are in love with those pillows too!! Love teh sheets and pillow. My son’s room is long over due for a Teen makeover! This would be perfect. He says hi back Beth!! Hope you’re doing well!! Love it so grown up and should last for a while, their quality is so great! I agree Kelley-the quality is amazing, my boys are so happy with their new “big kid” bedding! I love that bedding, Melissa! It looks fantastic in their new room! Thanks Gwen, the boys love it! I totally agree Meredith, the quality and feel is so much nicer than some other linens we’ve tried in the past! Seriously want this room- my 12 year old son would love it!